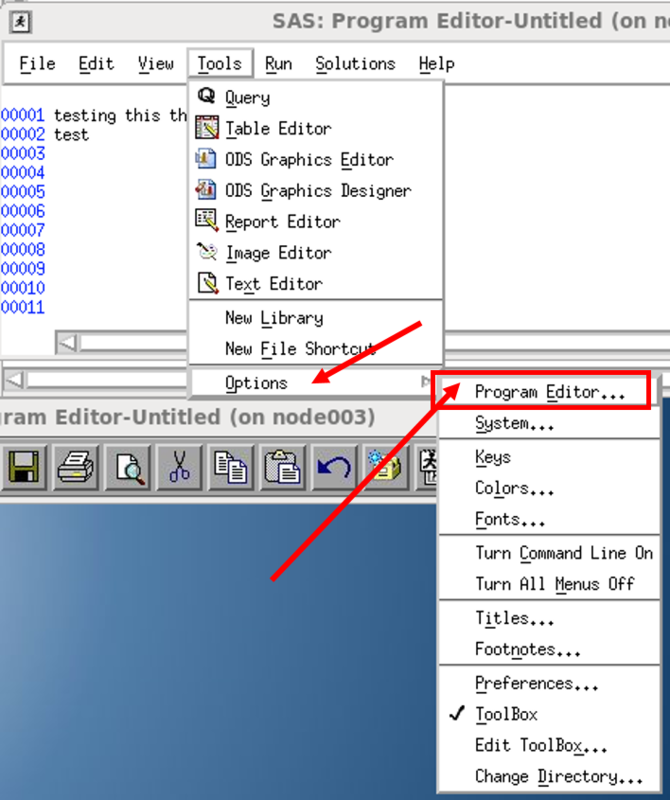 Start SAS using the guide found here. 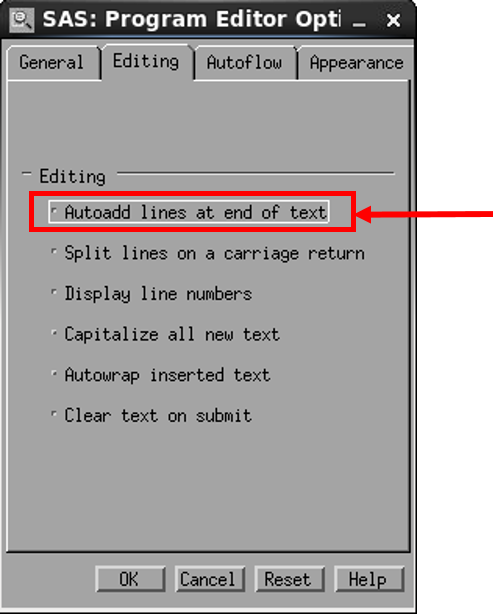 Select the Editing tab and unselect “Autoadd lines at the end of text”. 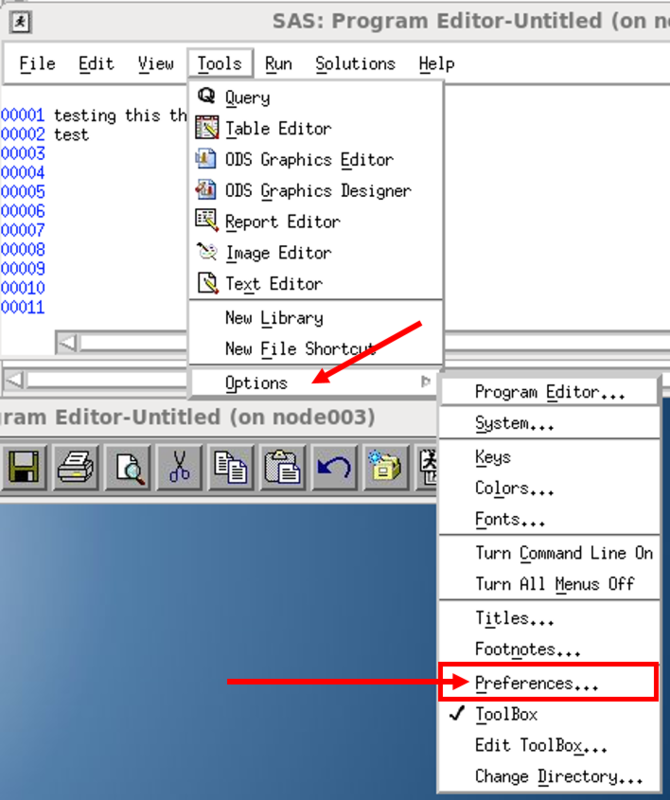 Click OK to save and close the Program Editor Options window. 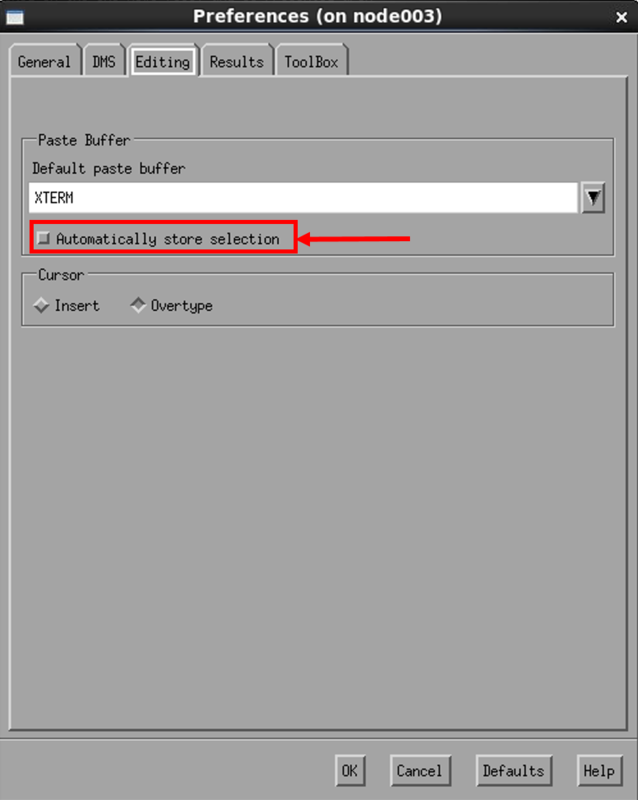 Select the Editing tab and unselect the “Automatically store selection” option. Click OK to save and exit.